Nokia Lumia 800 firmware update detailed, not fixing everything? 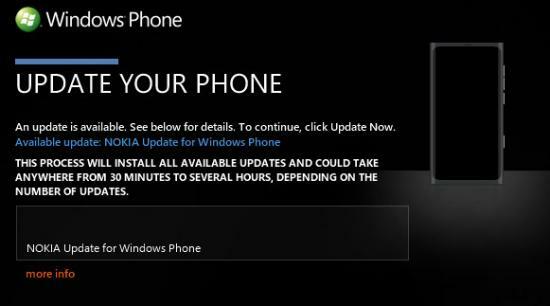 An article has been published over at Nokia Conversations detailing the 1600.2483.8106.11500 firmware update for the Lumia 800, which is in the process of rolling out. The update is being pushed out gradually using Zune software and contains two benefits; battery performance (making use of the capacity too) and WiFi connectivity improvements. This is update number two of two that were announced at the end of last year. "The update will not be delivered to every Lumia 800 simultaneously, but rather will be staggered over the next two weeks through Microsoft’s standard update process. This helps each owner gets the update without any hitches. Around half of owners will get the update in the next seven days, with the remainder over the following seven days." Unfortunately, we've received reports that users have encountered issues with soft key lighting and battery performance after updating, but we've yet to confirm this on our models. Let us know in the comments when you get the update.